1986 was the year I moved to Mörrum (same year as NES was released in europe). In this gaming era, the graphics and overall quality of the games were a lot higher in the arcade than the home consoles. 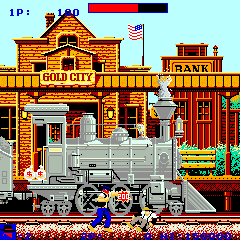 The games were first and foremost made for the arcade, but if proven a hit, some got released onto other platforms. My destiny ended me up as a neighbor to the local kiosk where they had an old garbage shed, which they remade into keeping an arcade cabinet. There were no heat in this small little room and yet I almost lived there even during the winter. The guy that rented out the arcade cabinet to the kiosk certainly knew his games. Many of the most wonderful classics arrived to this little shed which made it feel like entering into other dimensions. My days usually consisted of collecting cans to get enough coins to play. As I was practically living there, I was almost always the first one to play which made many others totally pissed off as they could not beat my score. It usually ended up with them pulling the cord, thus resetting the scoreboard. But my skill also proved fortunate as some people payed me to play in order to see the end of the games. 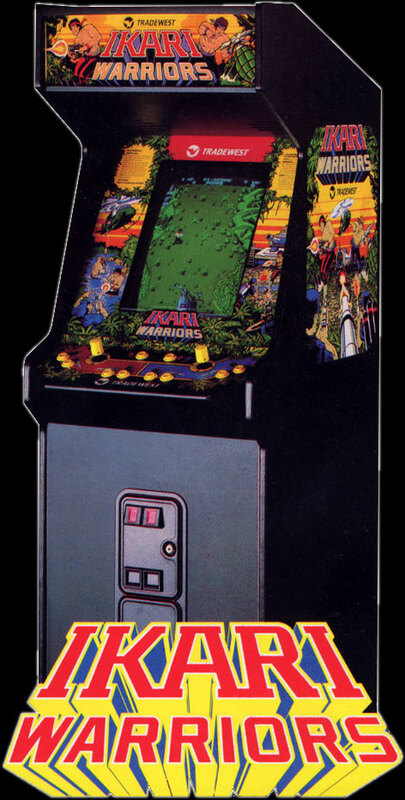 My absolute favorite of all the games I played in the little shed was "IKARI Warriors". It had great gameplay, graphics, music and you could play 2 player cooperative. It had a unique rotary joystick that turned 360° allowing you shoot and throw grenades in all directions which also made the gameplay very unique. You could upgrade your weapons which did a big difference in gameplay. If you got stronger hand grenades you could easily kill many enemies in one hit but then you had to be really careful not to kill yourself in the same blast. I remember when Express Raider arrived and it was in the middle of the winter. The snow twirled around the feet and it was extremely cold. For some reason the plastic on the top of the joystick was broken, making it very cold to hold the iron shaft. There were also something wrong with the grounding of the machine which made the shaft mildly electrified. You had to hold the shaft really hard not to feel the electricity. Even though I had to walk around in the snow, collecting cans and endure the cold and the pain while playing, it was totally worth the excitement of playing. The arcade games in the little shed came to and end after some vandals destroyed the cabinet. For me it felt like an old friend had been killed, and in a way, so it was. The time of entering into another dimension through the little shed was over. And as I mention arcade games I just have to mention my favourite movie at that time. 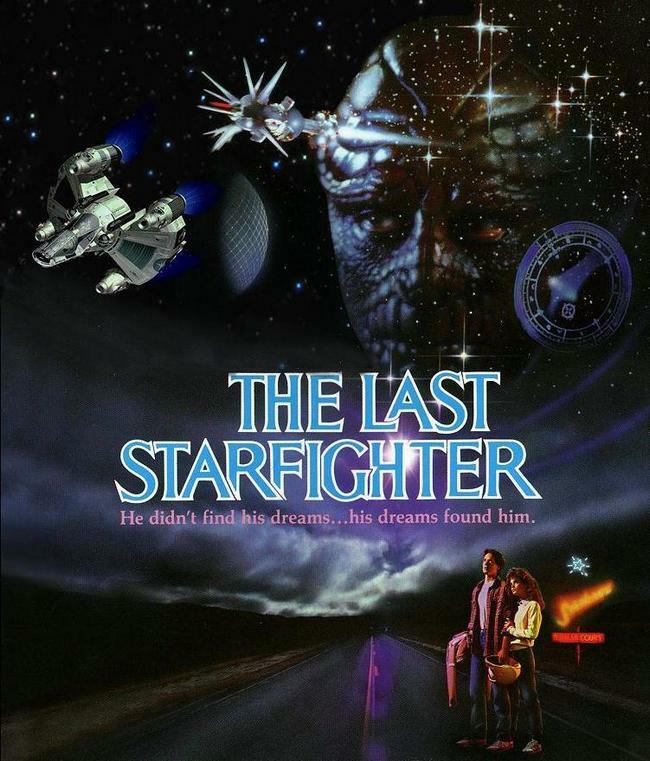 "The Last Starfighter" from 19846. It was the first movie to have fully computer rendered scenes. The story was about a guy living in a small trailer park, playing an arcade space-shooter. As he managed to beat the highscore, he was picked up by a real alien to do it all again. But this time for real to save the universe. 1. Originally made for Apple II in 1982. Reprogrammed by Sega for the arcade in 1985. 2. aka Gradius in Japan. Later releases kept the original title Gradius. 3. aka Salamander in Japan. It was re-released one year later (1987-June) in Japan as "Lifeforce". 4. aka "Rush & Crash". 6. Released in Sweden 1985.